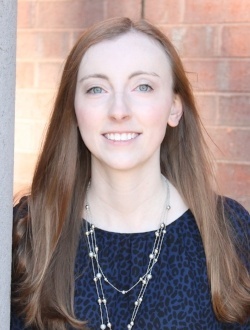 Reagan Hahn joined the team in 2016 and is PBD's Cash Applications Specialist. Her responsibilities include applying incoming check payments to the appropriate customer account with the correct receivable invoices under a specific accounts receivable process. In addition to check payments, she is responsible for tracking of daily credit card payment totals to ensure all cash payments received are reconciled and balanced accordingly. Reagan graduated from Berry College with a BS in Accounting and Finance. She was IRS-Certified in the VITA program during 2014 and 2015 and is a member of the Georgia Society of Certified Public Accountants. Before joining the PBD team, she was involved in the Student Government Budget and Finance committee at Berry College. Members in this select committee worked with the executive treasurer to review campus organization requests to allocate the annual activity budget. The group emphasized the importance of having meaningful discussions to ensure appropriate fund allocation throughout the year. During both her Junior and Senior years of college, Reagan participated in an IRS program referred to as the Volunteer Income Tax Assistant Program, or VITA. This program is designed as an effort to offer free tax services to qualified taxpayers that need assistance filing their yearly tax returns. Outside of work, Reagan enjoys spending time outside in nature and keeping up with physical exercise. The Big Creek Greenway trail in Alpharetta is one of her favorite destinations for running, walking, or even biking on a warm and beautiful day. She also enjoys finding new puzzle games designed to test her cognitive abilities. Years ago, she learned how to solve the 3x3 and the 4x4 Rubik’s cubes and she loves regularly working through Sudoku puzzles.